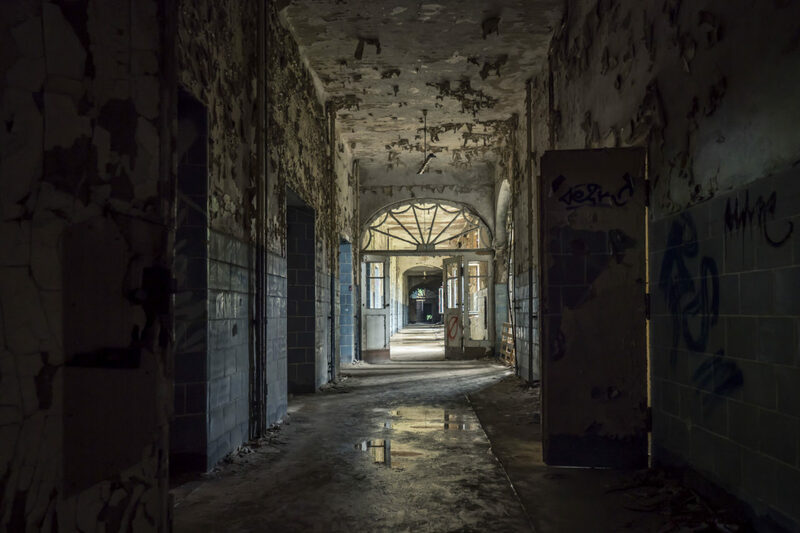 Beelitz Hospital Complex (Beelitzer Heilstätten), outside of Berlin is well past its prime. Both as a hospital and as a destination for urban exploration photographers. I became fascinated with the location when my friends Jacques Gudé and Luís Dos Santos were photographing the location regularly almost a decade ago. So when I visited Berlin back in July, it was a MUST SEE location for me. Luis was my guide for our visit to the facility. A lot has changed in 10 years. When Luis and Jacques were exploring and photographing the facility, they were doing so at their own risk. Last summer, Luis and I were part of short guided tours in selected buildings. Photography was allowed, provided you "stay with the group. Still, I came away with some good images, thanks to Luis' extensive knowledge of the buildings we were touring. I've finally gotten around to processing the images and I'll be bringing them to you over the next week or so. This one ... a random hallway. Hi Paul … I did shoot brackets in Beelitz, anticipating I would need to use HDR. And I started processing the images in HDR, but I found processing a single raw file worked much better.